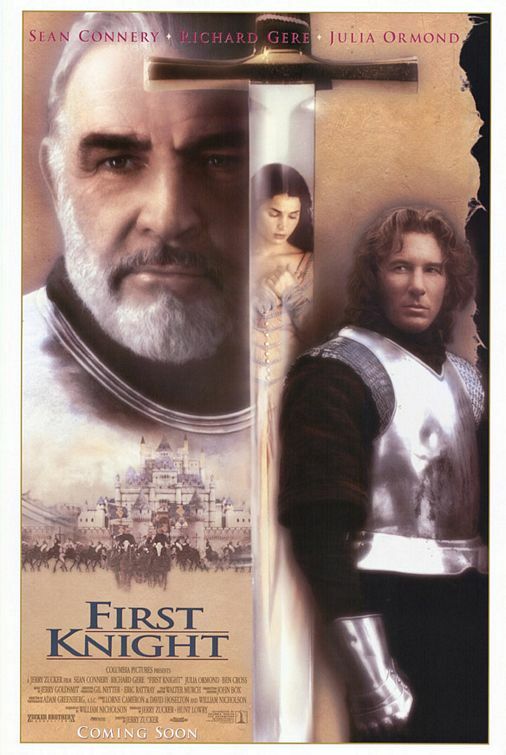 First Knight – Did You See That One? 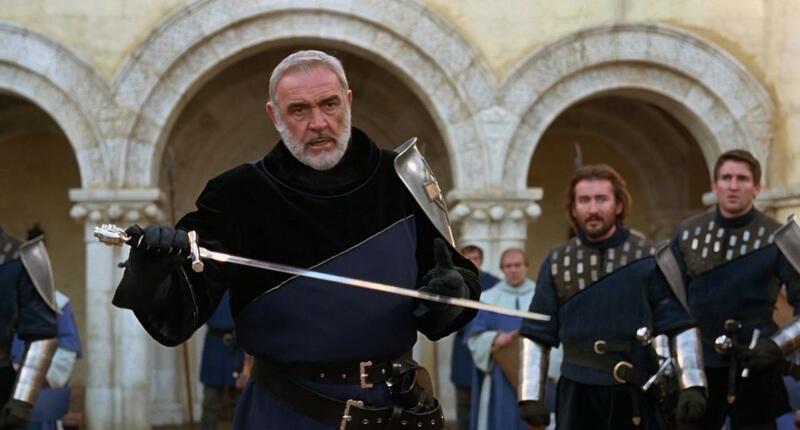 King Arthur (Connery) has returned from the Crusades, hoping to complete his kingdom by marrying Guinevere (Ormond). Meanwhile, an ambitious and violent knight named Malagant (Cross) is trying to take the kingdom for himself. 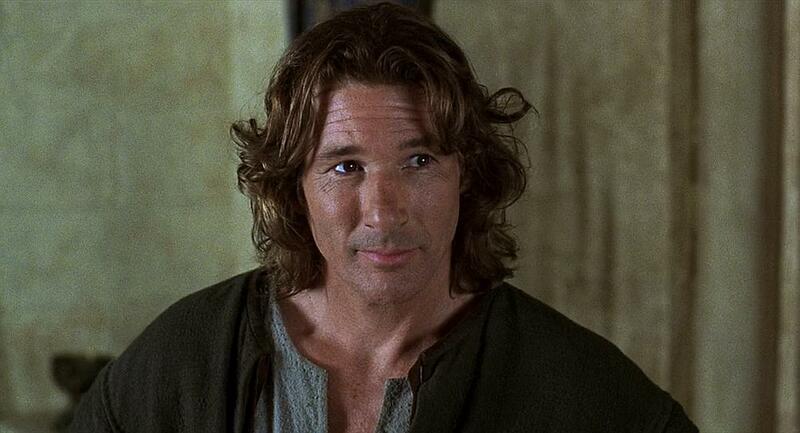 When Lancelot (Gere) joins Arthur as a Knight of the Round Table, his feelings for Guinevere complicate things. Soon all feelings are set aside as the knights are forced to defend the kingdom from Malagant and his raiders. This is an interesting twist on the Arthurian legend, based on the story by Lorne Cameron (Over the Hedge), David Hoselton (Like Father Like Son), and William Nicholson (Gladiator). The screenplay was finished by Nicholson and the film was directed by Jerry Zucker (Airplane!). The movie stars Sean Connery (Indiana Jones and the Last Crusade), Richard Gere (Days of Heaven), Julia Ormond (Sabrina), and Ben Cross (Chariots of Fire). This is an interesting story that takes the Arthurian legend and gives it a romantic twist. The story is very predictable, and doesn’t ever seem to offer any surprises. The action is good, but also seems a bit weak considering the buildup before it. The dialogue also seems to force itself into a style that comes off being melodramatic. Mainly this movie seems designed to play three big stars off of one another through dramatic scenes that ultimately fall flat. The acting in this movie is good, but also restricted by the material. Connery, Gere, and Ormond all have good moments, but nothing spectacular. 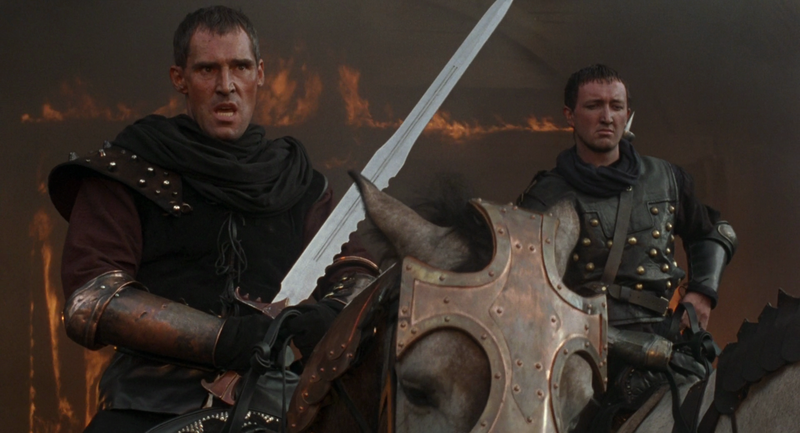 Ben Cross also does a good job, but his role is very simplistic and predictable. The movie also seems to have a very weak supporting cast. I’m not sure if anyone could’ve done more with the material than this cast did. Overall, this is a forgettable movie that falls short on every turn. This is a very uninteresting movie that seems to fall short of every expectation set by the premise. Instead of allowing for real drama between the stars, the antagonistic Malagant seems to drive much of the action. I think this movie wasted a good opportunity to use a great cast in something deeper and more interesting. Add in a long running time of more than two hours, and you’re left with a disappointing film. The end result of these many flaws is a movie you might want to skip. Like all films, this will be something fans of the stars still might want to see. I give this one 1.8 out of 5 stars. knew I had good reason to always avoid this one. Thanks for confirming those suspicions Jeff! My pleasure. It’s one that I’m sure has fans, just don’t count me in that group. 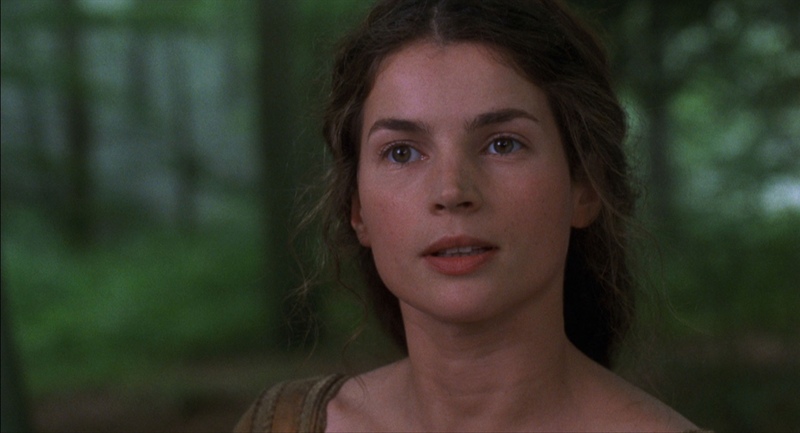 Julia Ormand was sooo hot though. But yes, this film suffers from being rather vanilla and cliche. Decent flick that’s not as good as when you revisit it these days. Thanks for checking the review out. I sure hoped for something better with this one. Pingback: Orosz filmek - A filmtörténelem 10 legjobb orosz mozija | Filmezzünk!